PennsylvAsia: Short Peace (ショート・ピース) at Hollywood Theater, May 3 and 4. 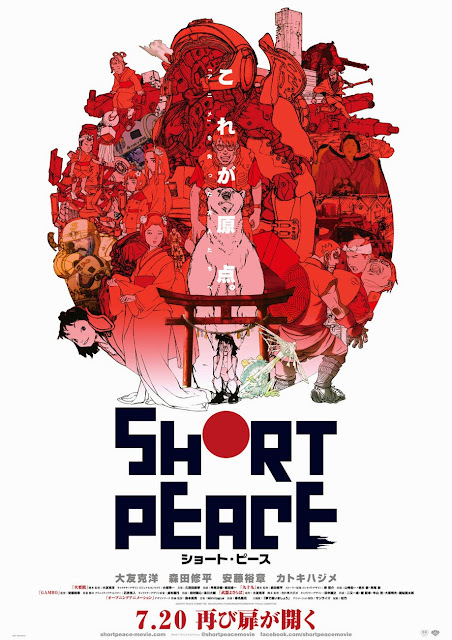 Short Peace (ショート・ピース) at Hollywood Theater, May 3 and 4. The 2013 Japanese animated anthology film, Short Peace (ショート・ピース), is coming to the Hollywood Theater in Dormont (map) this weekend, and tickets for the two showings, May 3 at 1:00 pm and May 4 at 7:00 pm, are available online. That nominee, Possessions, was in Pittsburgh earlier in the year. The complete film will have a nationwide release from April 18. The theater is located at 1449 Potomac Ave. in Dormont, and is accessible by Pittsburgh's subway/LRT at a block south of Potomac Station.